During this scenic and informative private group tour, you and your party will stroll through New York’s masterpiece of landscape design and escape Manhattan’s noisy grid. Highlights include the Mall, Bethesda Terrace, Strawberry Fields, Imagine Memorial and more. You’ll discover what makes Central Park the most visited park in America. Along the way you’ll enjoy terrific photo opportunities, see many famous sights, and uncover some secrets as well. You’ll leave with a great appreciation for the park and the city around it and photos to cherish. To start off your private walking tour of Central Park, you will begin when you enter the park at Scholars' Gate and get an immediate introduction to Central Park's natural beauty with spectacular views of the Pond and the ancient Manhattan schist juxtaposed with the modern skyscrapers around the park. After a brief introduction, wind your way past the skating rink to the Dairy and Chess & Checkers House, then proceed past Sheep Meadow to get to the famous Mall (think trees and benches, not stores and escalators). Say hello to Shakespeare and Columbus as the tour take you along the formal promenade flanked by beautiful American elm trees. At the end of the Mall, step onto the Terrace to admire spectacular views of the Bethesda Fountain, the Lake, the Boathouse, and the Ramble. Discover the artwork at Bethesda Terrace, some of which most New Yorkers have never noticed. The tour then proceeds past the row boats on the Lake and the beautiful Bow Bridge towards Strawberry Fields and the Imagine Memorial. You'll learn about John Lennon's tragic death, as well as the importance of the Dakota Apartments on Central Park West. In the last segment of the tour, you will get to explore the Shakespeare Garden, Belvedere Castle, and end on a high note with an ancient Egyptian artifact! Choose between a 3-or-4-hour tour option. 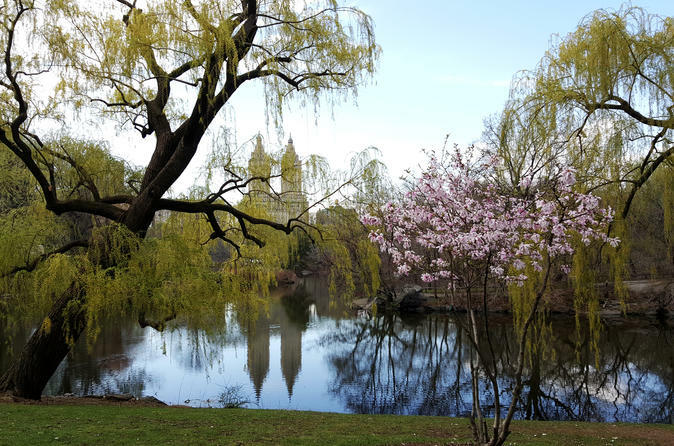 This tour combines beautiful natural scenery, famous landmarks, hidden spots and objects, as well as a wealth of interesting information about Central Park, its development and designers and the evolution of the great city that surrounds it. You can get lost in the park by yourself, but on this tour you'll experience and appreciate the park in a whole different way.